Today I’ll be introducing you to Agnes the Ameraucana. I’d like to tell you about her as an individual chicken. You will learn a bit about her personality, appearance, and eggs. I spend quite a bit of time observing and interacting with my chickens. It was important to me from the very beginning that my chickens were comfortable being handled and around people. I felt this was important for both their health and safety. Ameraucana was my number one chicken breed request. Ameraucanas are usually friendly, they lay blue eggs and are a medium size at 4-5lbs. 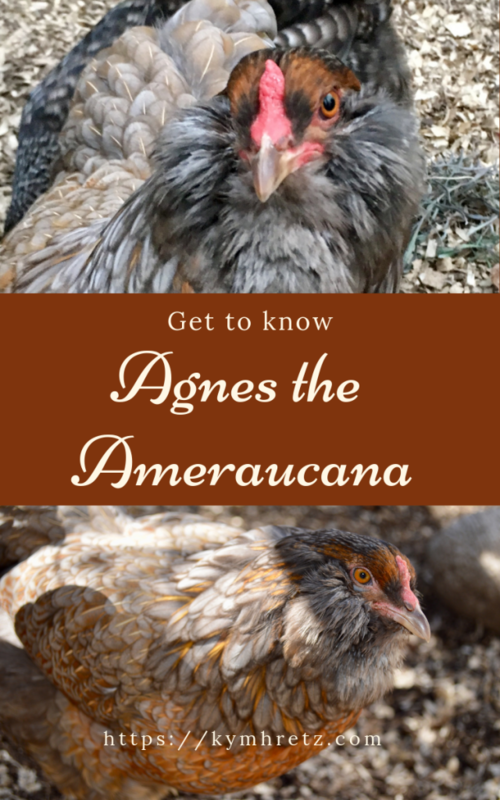 But who is Agnes the Ameraucana? To start, Agnes was the very first chicken I chose. We got her and all our current chickens at Jamestown Feed & Seed. She was brown with darker stripes, she was running around in the pen with the other chicks, she was very active. Agnes was one of two Ameraucanas we picked up on March 23rd, 2017. 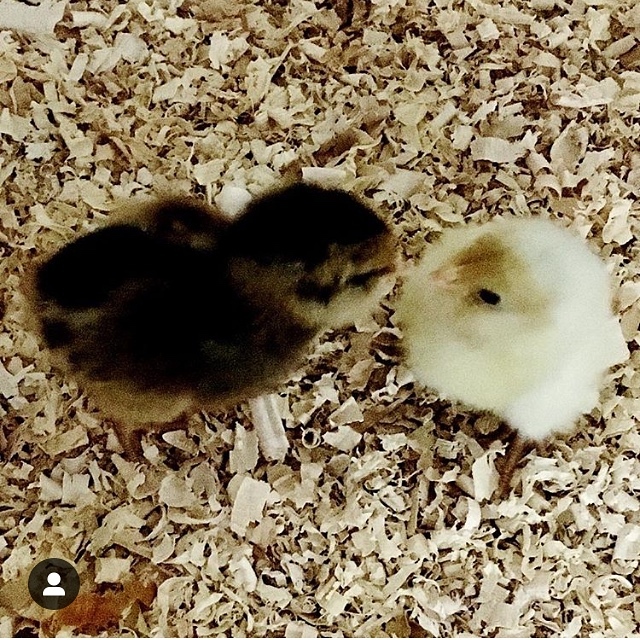 When I picked these chicks I purposely chose two very different colors. 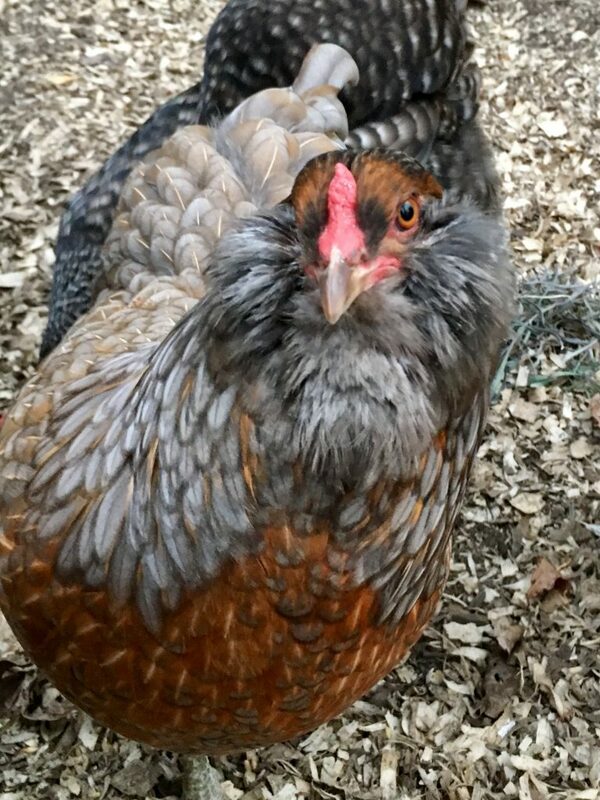 I was new to chickens and wasn’t sure how a chick would look compared to the adult, fully feathered, chicken. I wanted to see how each color chick changed as it grew. Jamestown Feed & Seed only had two colors available, there are eight colors in the Ameraucana breed. 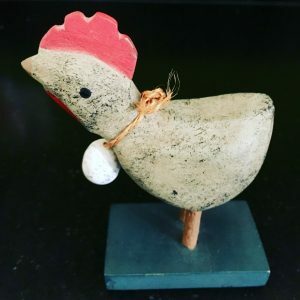 If you are interested in some early blog posts on our chickens be sure to see this post and this post. Agnes the Americauna is as advertised very friendly, she always checks to find out if I brought treats and is one of the first to take food from my hands. 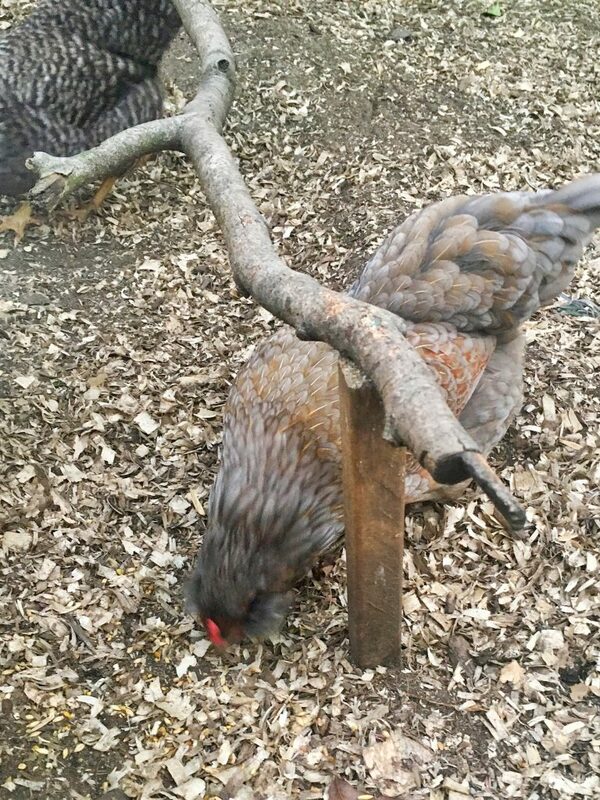 However, as soon as the food hits the ground she prefers to peck it from there. This is probably why she is so busy, always looking for bugs and any other food she can find. Agnes is a bit of a loner. She tends to find a spot a bit off from the others to get her scratch in the mornings. She also will often be on her own when free ranging. Agnes likes to find spots under bushes or along the back flower bed to forage for bugs and tasty plants when free-ranging. Though Agnes is always ready to come running to me when I come out of the house she is the last to arrive as she is farther off in her foraging. She doesn’t want to miss the guaranteed snacks I might be offering. I often give them Grubblies or mealworms and Chicken Chew from my hands to encourage friendliness. Often they get kitchen scraps and fresh sprouts as well. And I want them to come to me when I call for safety reasons, too. I love Agnes’ little cheeks. She has what I think are referred to as Muffs. Tufts id feathers on either side of her beak giving the appearance of chubby cheeks. Makes me want to pinch her sweet little cheeks like a Grandma. 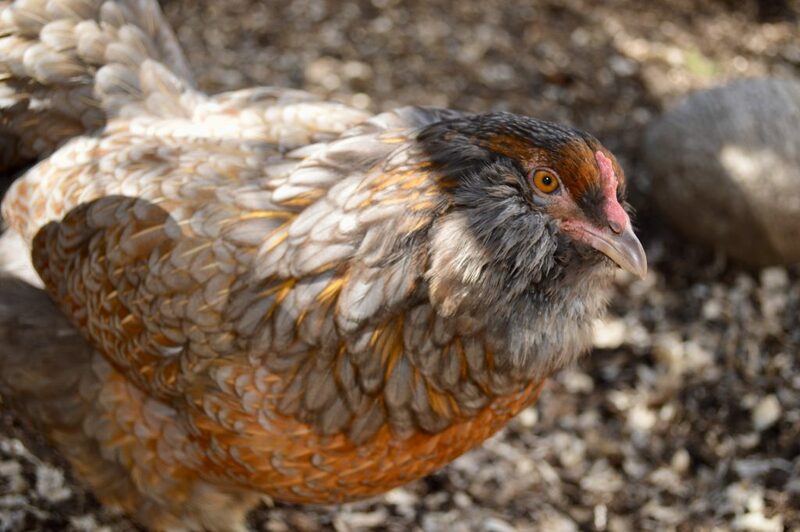 The feathers on this sweet little hen are a beautiful mix of browns, many of the feathers have a golden center that almost sparkle in the sunlight. Ameraucanas are bred to have the blue egg gene. I was especially excited to have blue eggs in our egg basket. 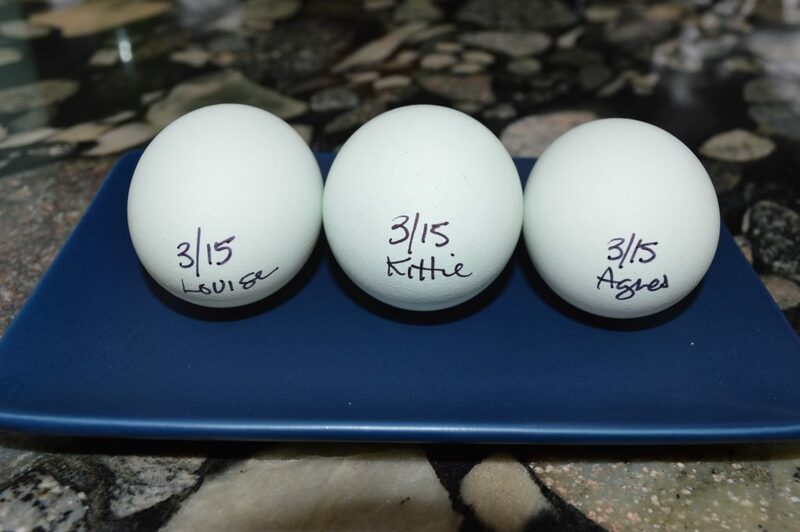 I have three blue egg layers, Agnes is one of them, the other are Kittie and Louise. What I didn’t anticipate was that Agnes, our oldest chicken, would be the very last to start laying eggs. She absolutely was. In fact, she Introducing her very first egg on Christmas Day! 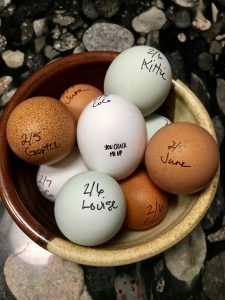 Her eggs tend to be a medium size egg, just slightly smaller than the other two blue eggs I get from Kittie and Louise. Her eggs also tend to be smoother almost shiny compared to the other two. As I’m introducing you to our chickens I thought you’d want to know how we decided to name our chickens. The chicks were named in alphabetical order as they came to our home. Not all the chicks came on the same day but rather spread out over a few weeks. Therefore, you know Agnes the Ameraucana was the very first chicken simply by her name! As I planned and researched in preparation to get chickens I decided we would refer to them as The Ladies. I wanted to verbally separate them from the dogs who we refer to as The Girls all the time. Going along with the Ladies idea I felt that old fashioned names would suit them very nicely. You might say they all have “Old Ladies” names. I hope you enjoyed getting to know Agnes. Should I do a full series of chicken introductions? Let me know in the comments. Have any questions? So cute! I loved it. Thoroughly enjoyed learning about Agnes. She really does have a pretty face and the colors of her feathers are beautiful. Still missing our knitting time and friendship time. So fun that they all have names!